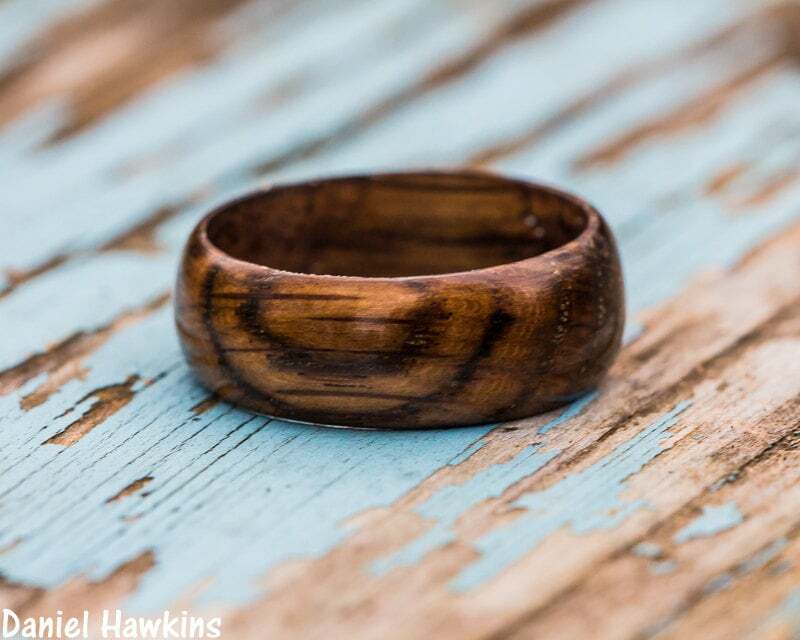 This is a hand-turned oak wood ring cut from used Jack Daniels whiskey barrels, custom made to your specifications - choose the size, width, and shape from the options to create your own handmade ring! 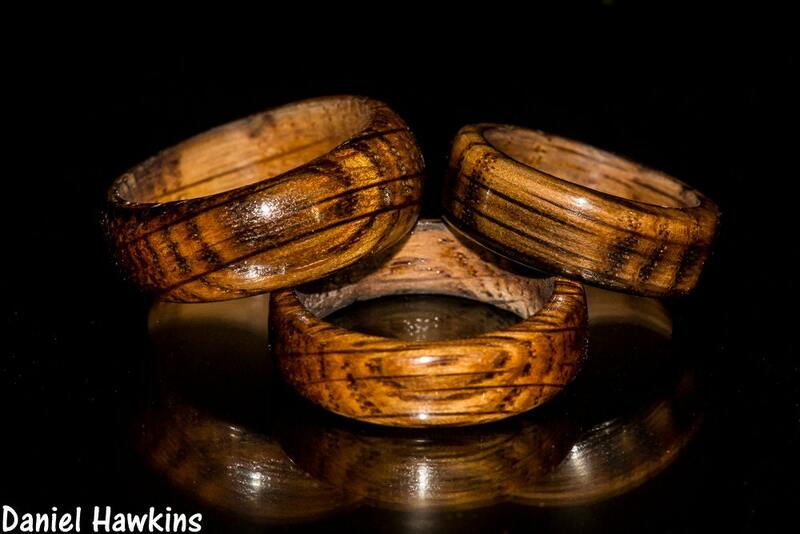 Your ring will have a similar look to those in the pictures - charred oak wood - but each ring is a unique piece of wood with it's own unique patterning with no two exactly alike! 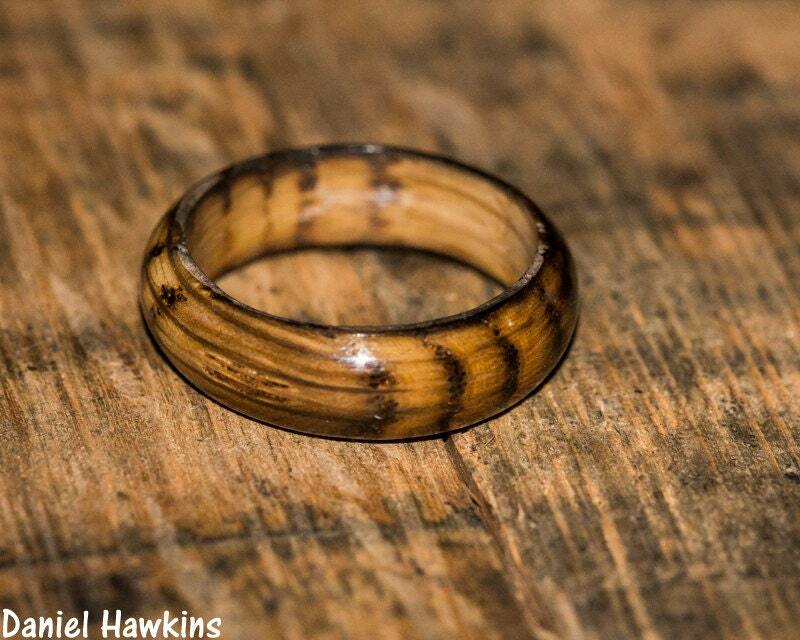 Please note the variability in coloring in the photos - due to the charring process, your ring may be lighter or darker than the first image! 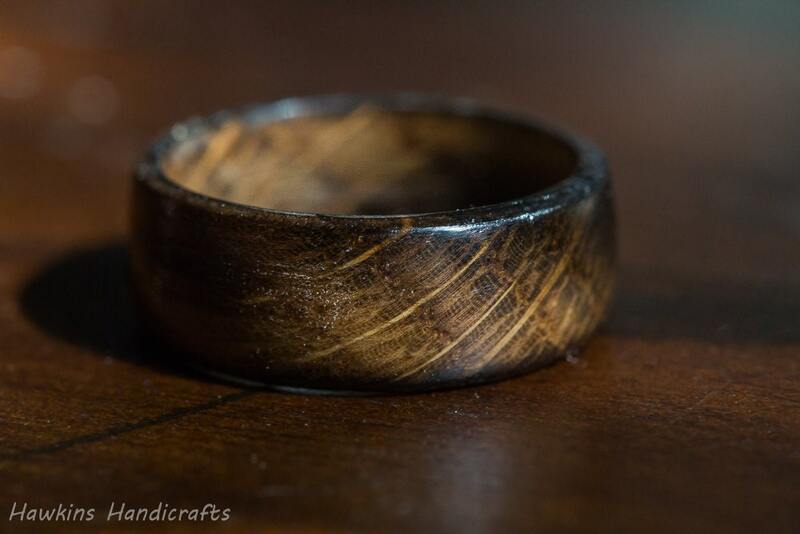 My husband LOVES this ring. We recently got married and he was having a hard time adjusting to the uncomfy, heavy metal band we bought. We figured we'd give this a shot (bonus points for Jack Daniels) and he wears this nonstop now. It's very light and much more comfortable. 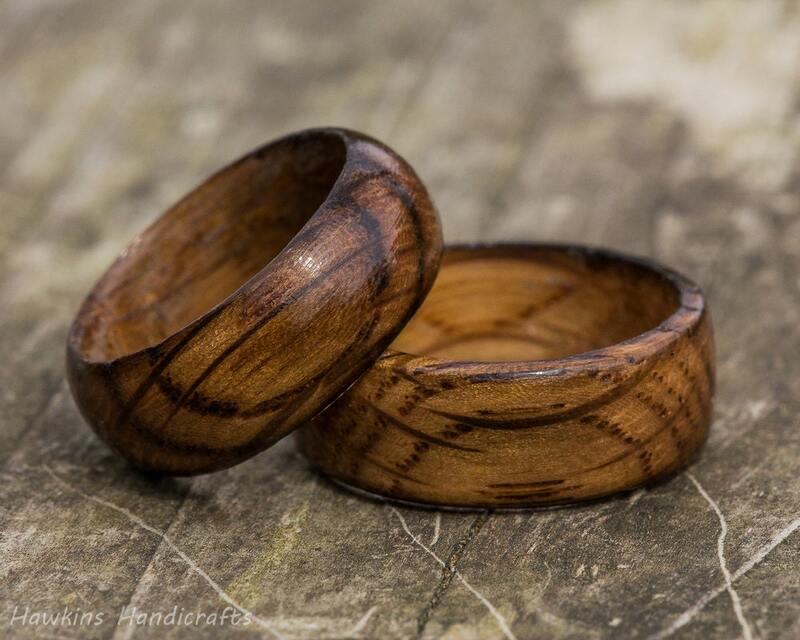 Incredibly well made!